Enterprise IT teams have invested in different point tools for service discovery, application and infrastructure monitoring, network performance visibility, intelligent event management, IT service management and IT process automation. These tools help operators manage and optimize specialized infrastructure (think unified communications) or legacy enterprise services (like custom applications and middleware). How do IT pros then manage these critical applications and infrastructure in a centralized command center for greater operational flexibility instead of reactively working in siloed processes, teams or point tools? OpsRamp delivers a powerful and flexible RESTful API framework so that enterprises can build custom workflows for process automation, enhanced functionality and seamless collaboration across multiple service delivery teams. Custom integrations allow IT practitioners to send data (like events and alerts) from point tools into OpsRamp, export key performance indicators from OpsRamp to different systems or enable real-time synchronization between OpsRamp and other IT management tools. Figure 1 - Deliver a complete picture of your enterprise infrastructure by connecting OpsRamp to your IT Ops/DevOps stack. 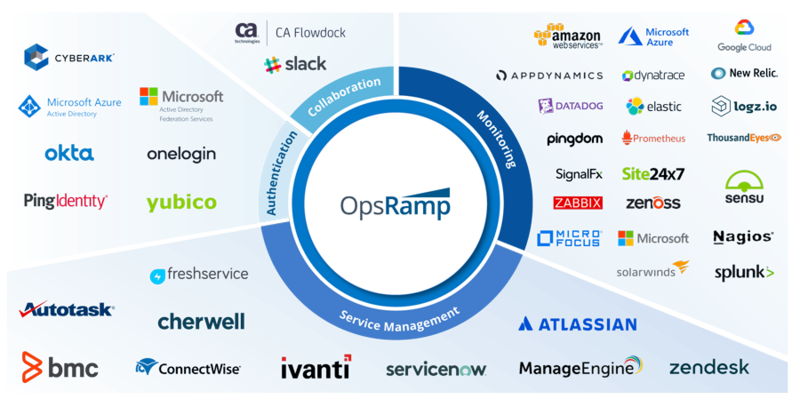 While OpsRamp offers powerful integrations for popular IT operations and DevOps tools, enterprises can build custom integrations to take their digital operations to the next level. Custom integrations dismantle organizational silos, drive continuous innovation and deliver rich performance insights for getting more done in less time. IT teams can effortlessly build custom integrations with OpsRamp’s API framework. API-based custom integrations publish data from a third-party solution into OpsRamp (and vice-versa) across different stages of the IT operations lifecycle. 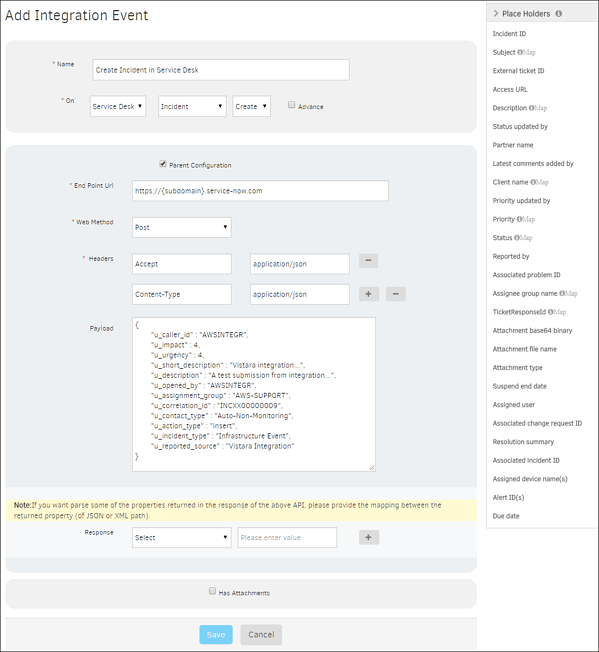 All integration configurations are directly handled in the OpsRamp portal. Figure 2 - Build easy-to-use custom integrations for seamless enterprise collaboration. Figure 3 - Overview of OpsRamp’s custom integration workflow. Basic Authentication. OpsRamp supports basic authentication for HTTP requests with user credentials. OAuth 2.0 Based Authentication. OpsRamp also supports OAuth 2.0 authentication for inbound and outbound communications (data exchange) with third-party tools. Figure 4 - OpsRamp supports Basic and OAuth 2.0 authentication protocols for API-based communication. JSON Ingestion Format. API-based ingestion of event and ticket data for third-party ITOM and ITSM tools needs to be in JSON format. Outbound Data Forwarding Format. OpsRamp can create automatic incidents in third-party ITSM tools using the outbound data forwarding format. XML/JSON/SOAP Forwarding. OpsRamp can forward service desk ticket data in XML/JSON/SOAP formats based on the data format requested by a third-party solution. 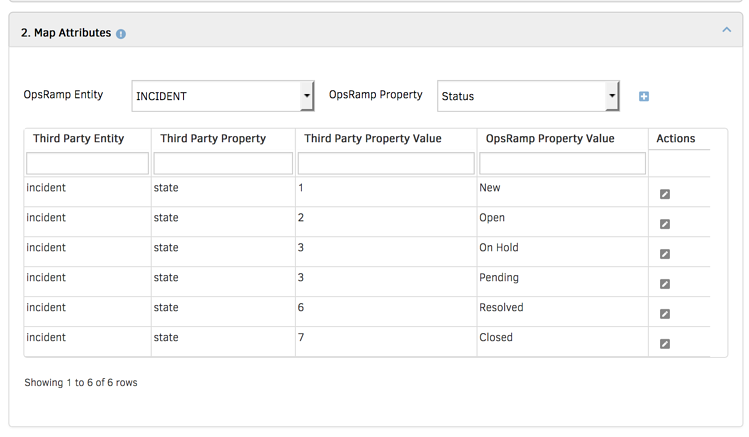 Figure 5 - Share and communicate data with third-party applications using OpsRamp’s APIs. #4 - Map Field Attributes Correctly. This is the most important part of building a custom integration, where you define field mappings for matching data values between OpsRamp and a third-party tool. Proper attribute mapping drives seamless data transfer and information exchange between the two systems. Figure 6 - Attribute field mapping in OpsRamps keeps operational data synchronized. You can build custom integrations in OpsRamp for legacy and homegrown applications, specialized IT services and hybrid infrastructure resources. Creating custom workflows in OpsRamp helps better manage service health with deeper visibility and drives faster response for service outages and disruptions. Custom integrations address real-time digital business needs and enable automated workflows for hands-free management. Learn how our integration ecosystem simplifies your IT operations management. Read our case study on how we helped Epsilon manage their legacy and modern infrastructure in a single platform.